Are ya ready for another challenge? It's time for another Peachy Keen Challenge, and we're up to challenge number 56. That is nearly impossible for me to fathom, but here we are, just the same. Angelica gave us another wonderful sketch, and included some fabulous elements for inspiration. 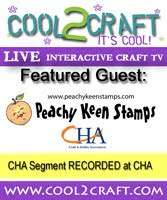 You'll find the sketch below, and be sure to check out the Peachy Keen Stamps Blog for all the details about prize that you could win if you play along with us. Here's the sketch for Challenge #56. Please don't forget to stop by Scrapping Mommy's Blog and give Amy Crockett a warm welcome as our guest designer this week. Amy's blog is filled with inspirational creations, and she really rocks the Peachy Keen Stamps!! 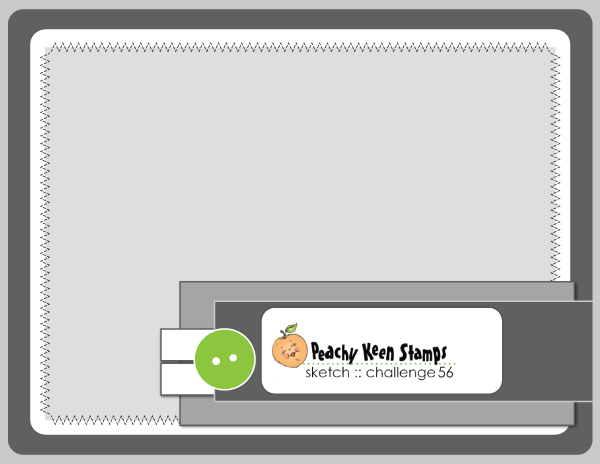 Our wonderful PKS design team has an amazing line up of cards to share with you using this sketch. I always look so forward to the day we post, because it just makes me so happy to see their work!! Head over to the Peachy Keen Challenge Blog and check it out!! Thanks so much for stopping by today. I've got a busy day ahead, so I'd better get to it! Y'all take it easy in this heat, have a beautiful day, and happy stamping! Super cute!! I love those sweet little bees and the glitter you added. Thanks so much for the sweet comments about my blog and for linking over. Lorie, these bees are so cute and I know I wouldn't be allergic to them! Beautiful beehive and gorgeous coloring! Hugs! Lorie I love your bees!! Fabulous work as always! Thanks for being such an inspiration! Oh My Heck! That is the cutest Bumble Be Card I have ever seen and I WANT ONE!!!!!!! Fantastic. You should win hands down. Now that is the cutest card ever! Love those bees and the bee hive looks great! Lorie those bees..OMG you made them totally come to life! I love your bee hive. I may need to get another one since I used that one first and I never used acrylic before I totally messed mine up. I even glued it down backwards! I love your paper piecing. Jaw on the floor...eyes out on stalks...head spinning with the cuteness and fabulous colouring!! Ginger Painting & Kiss! Fun, Fun, Fun!! !